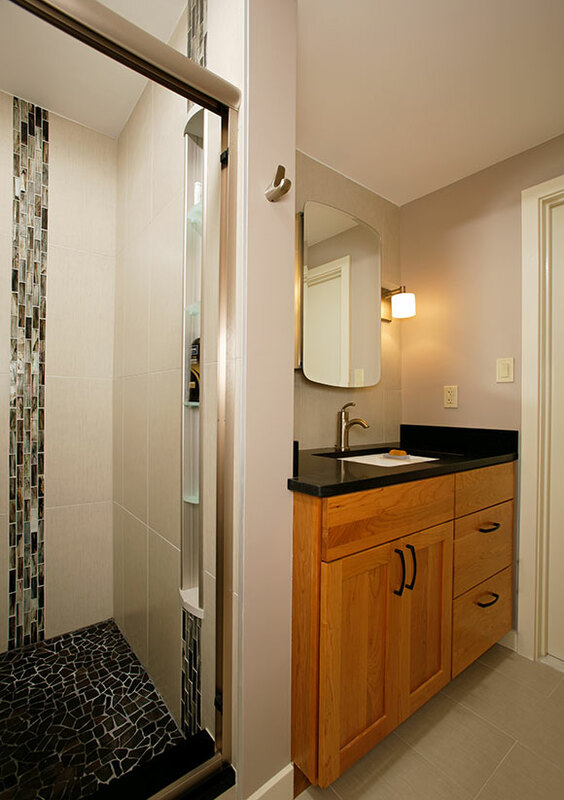 Small bathrooms can still be elegant and functional and we are the experts at capturing additional space in a remodel. This Jack & Jill hall bathroom transforms a couple of tiny, compartmentalized spaces into a larger bath. We installed glass tile and a pebbled floor in the shower as well as a handy storage niche. A larger, functional vanity allows for a more useful and elegant area in a small room.